Our spring garden is coming into bloom, and Mama and I are enjoying how colorful it is! 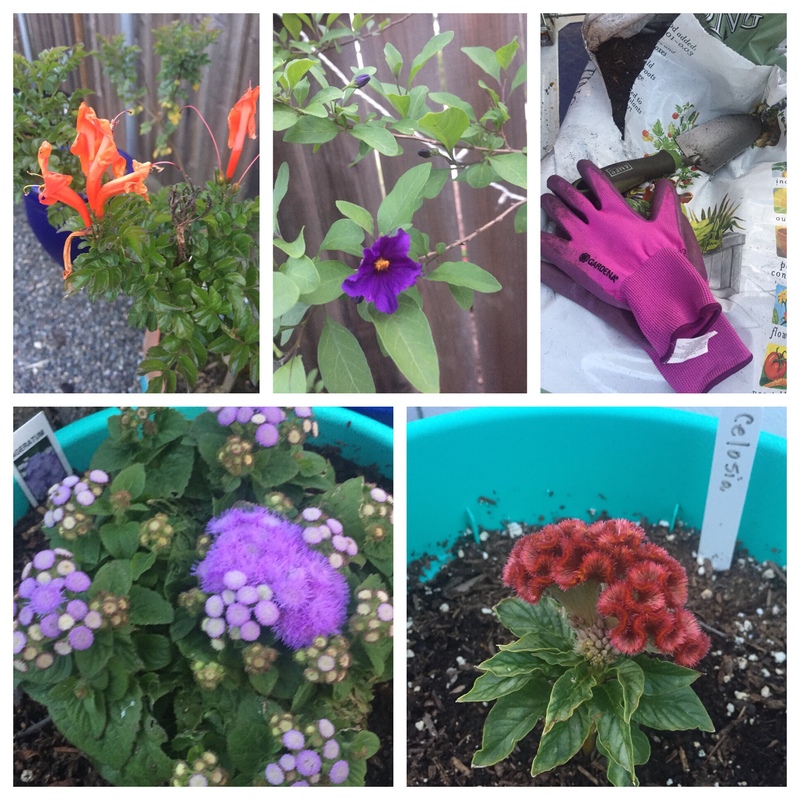 The orange and purple flowers in the top two photos are on little potted trees, which we brought with us when we moved here from Santa Cruz. The clustered purple flowers, Ageratum, and curly red flowers, Celosia, are new to our garden this year. Today’s #OneGoodThing was enjoying the bright blooms in our garden with Mama! Special thanks to More Diane for the comfy, pretty gardening gloves for my birthday! Day 115 of 365. And Day 846 in a row (here’s the first 366 & the following 365)!